Last time, we share how to make a Whack-a-Mole game, which uses the Multi-Control’s gamepad function. As a multi-function board, it’s also equipped with keyboard function, which is to realize the same function as keyboard. Any available conductor at home can be used as a key on keyboard. 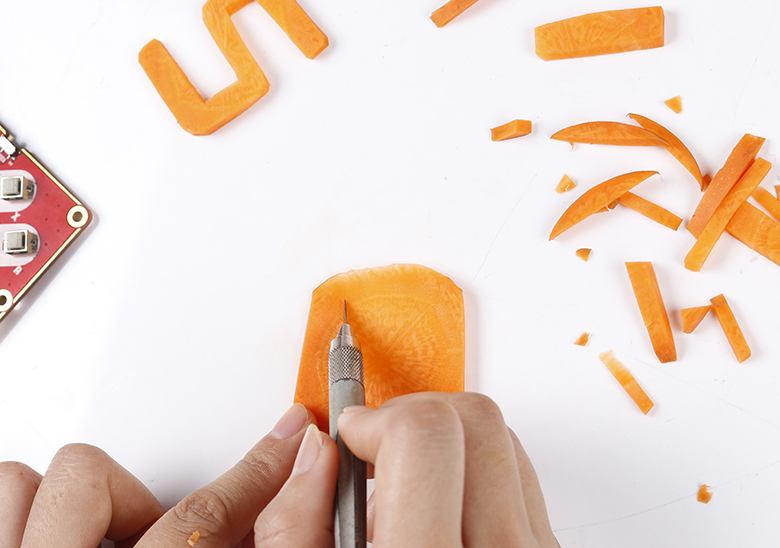 If you happen to have a succulent carrot left and want to make something cool, then try to make a carrot keyboard! First, we should slice the carrot into pieces, ensure the slices are the same in thickness. And prepare two more slices just in case. This step would be easy for you if you often cook. 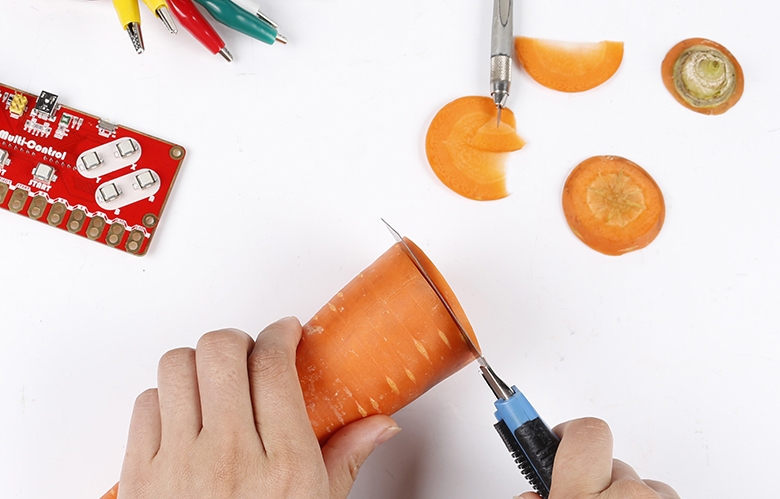 We prefer a fresh and juicy carrot to ensure good conductibility. Cut those slices into the letters you like. 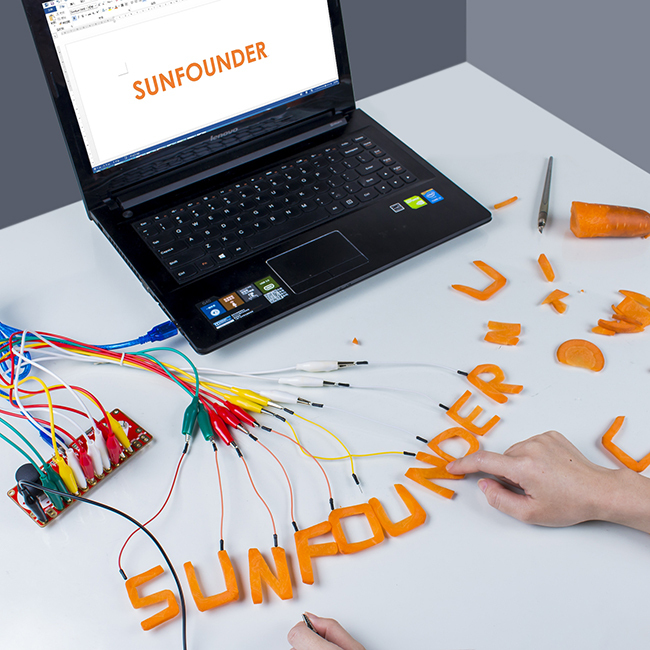 Here I make them to SUNFOUNDER. Note: the knife is quite sharp, so be careful to operate to prevent getting injured. 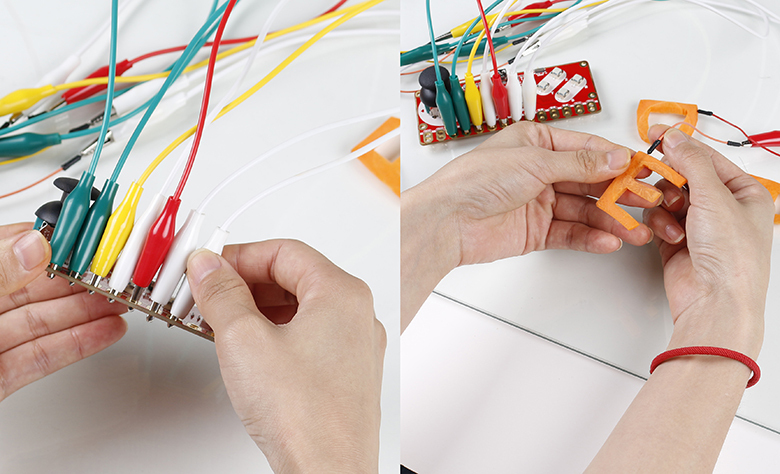 Extend the GND of Multi-Control with an alligator clip cable. Visit the WiKi page of Multi-Control, you can see the related resources. 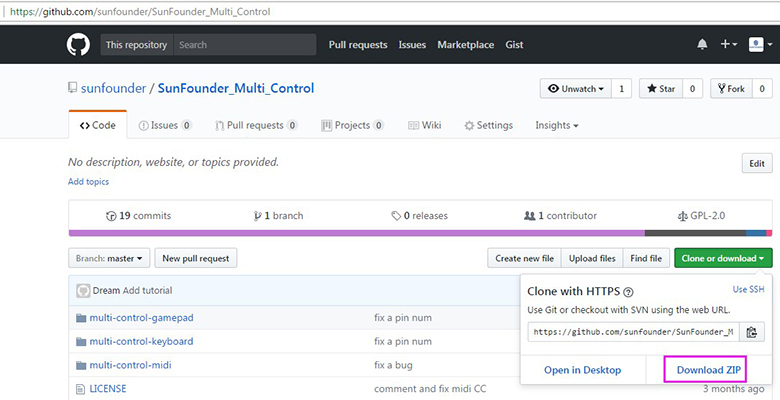 Then go to Github page and download the code. Unzip the download package. 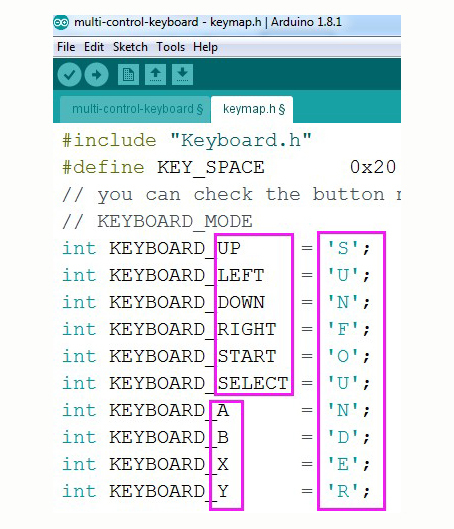 Open multi-control-keyboard.ino code, and click kepmap.h to modify the mapping of keyboard values. 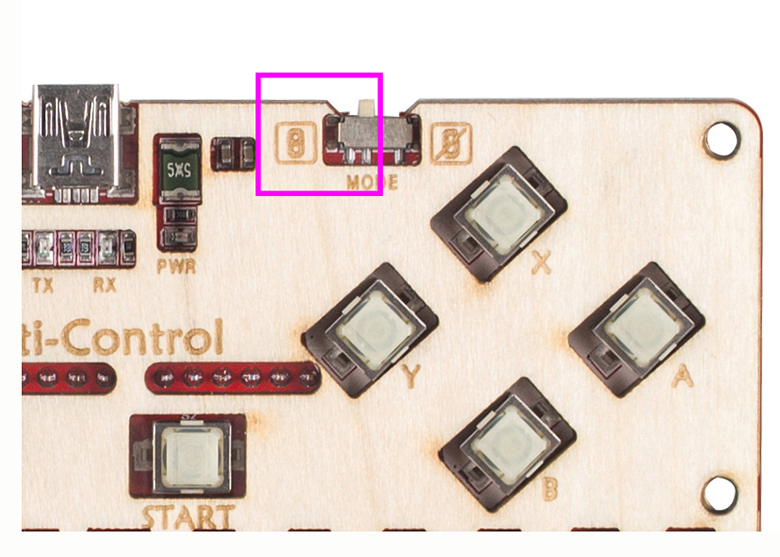 Then select the board type (Leonardo) and port, and upload the code. Step 5 Carrot Keyboard! So Cool!! After uploading successfully, create and open a new file. 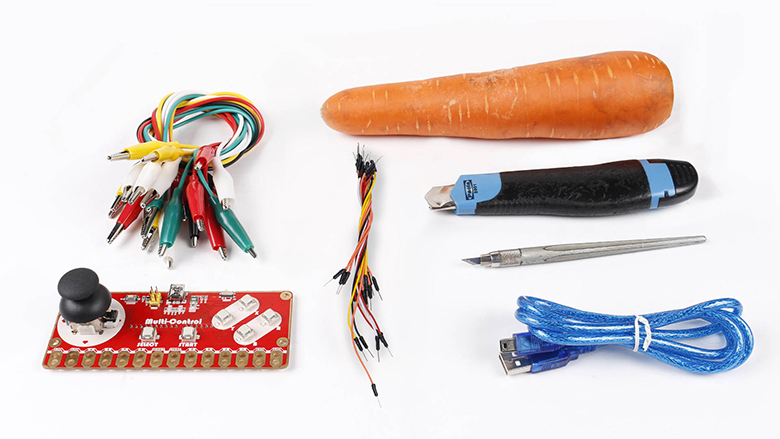 Hold the GND cable at one hand, and touch those carrot slices to type the corresponding words. 2. You need to turn on the Touch Input Control switch.